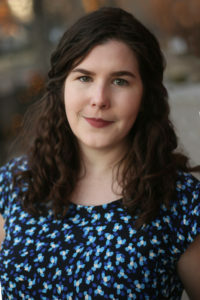 Elizabeth Gardner is currently a PhD student at Louisiana State University, where her research focuses on communities of women in works by southern women writers and explores what models of community might exist in these texts. She sees her work as the president of the ESO executive council as a continuation of this emphasis on community and is dedicated to helping the ESO serve as a source of support for its members. Elizabeth received her MA from the University of Georgia in 2016. 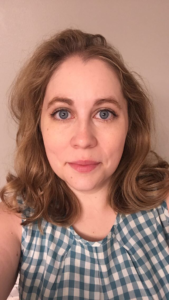 Delia Byrnes is a PhD candidate in the Department of English at the University of Texas at Austin, where she researches contemporary American literature, energy culture, and the environmental humanities. 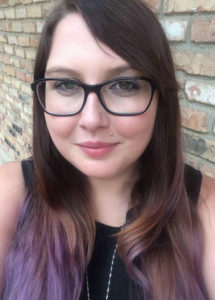 Her dissertation, “Refining America: Energy Culture, the Gulf Coast, and the US Imagination,” examines oil imaginaries in contemporary Gulf Coast narrative media. Her essay on petro-aesthetics in HBO’s True Detective appears in The Global South, and her scholarly reviews appear in the E3W Review of Books. 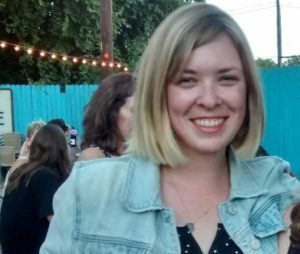 For the past two years, Delia served as the Digital Media Coordinator for SSSL, and co-coordinated the 2018 SSSL biennial conference in Austin, TX. She joins the ESO Executive Council as the Mentorship and Advocacy Chair. In addition to coordinating the ESO’s mentorship program, Delia looks forward to developing resources to foster a diverse, inclusive, and accessible intellectual community for all emerging scholars. Dr. Garrett Bridger Gilmore is an Instructor of English at the University of Alabama and comes to the ESO Executive Council by was of the University of California, Irvine, where he recently completed his PhD in English. His research focuses on the role of literary criticism and pedagogy in shaping political horizons for anti-racist thought and action. His dissertation focused on the political stakes of “white racial melancholy” in how canonical white Southern writers were taken up by critical proponents of racial liberalism in the mid twentieth-century. Through readings of paired works from before and after the rise of racial liberalism (e.g. : “That Evening Sun” and Requiem for a Nun, “The Barber” and The Violent Bear It Away), he argues that the way racial liberalism can be made to accommodate reactionary Southern politics signals its fundamental flaws, the fruit of which we deal with today. A chapter from the dissertation, “Refracting Blackness: Slavery and F. Scott Fitzgerald’s Historical Consciousness” is forthcoming in Mississippi Quarterly. Coming from a graduate institution outside of the South, Garrett hopes to help expand the ESO’s geographic outreach and online community in order to help connect emerging scholars at non-Southern institutions. Joshua Ryan Jackson is a PhD student at Georgia State University. He came to southern studies during his MA at the University of Arkansas, after which he freelanced as a self-taught data journalist, marketing copywriter, and editor. 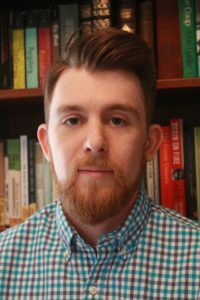 His academic research interests include speculative narratives of region in nineteenth and twenty-first century Souths, with a particular interest in examining how the South is marketed. His work has appeared in various academic and non-academic publications, both digital and in print. These include The Cormac McCarthy Journal, In Media Res, and TheBlack90s.com. He has also been a regular contributor to organizations that publish content on state-of-the-field issues affecting digital marketing, online education, and higher education, including Online Marketing Institute and Online Course Report. 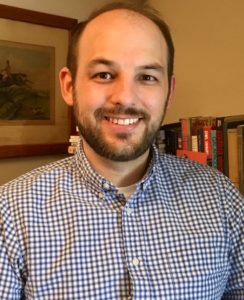 Josh has joined the Executive Council with the hope of facilitating more academically diverse and community-engaged learning projects, such as a service-learning partnership with the Equal Justice Initiative and alternative academic professionalization opportunities with the Southern Poverty Law Center. Along with the rest of the ESO, he hopes to foster a more welcoming professional space for women, queer scholars and scholars of color, one that both models and spearheads clear and responsible social planning, rhetoric, and action for the whole of SSSL. William Murray is a PhD candidate and Blount Fellow at the University of Alabama. His research primarily focuses on how conceptions of race and region are shaped in the national imaginary. One can find his work published in the Mississippi Quarterly, the Eudora Welty Review, the CEA Critic, and the South Carolina Review. In his dissertation, he explores how post-1975 narratives, from and about the South, use the region to project and protect white innocence. Will is also the SSSL Newsletter’s Assistant Editor and Bibliographer. He joins the ESO Executive Council as Projects Chair. 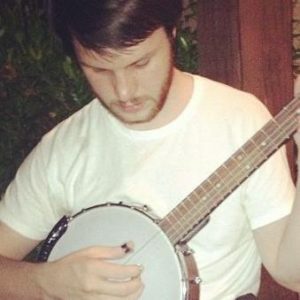 Will Palmer is a PhD student at the University of Mississippi where he is working on a dissertation project considering the cross-sections of sound, environment, and race on the Mississippi River in modernity. The project will look at literary representations of sound and reconsider the traditional narratives of migration and racial difference pervasive in 20th century American popular thought. His work has appeared in south: an interdisciplinary journal and The Routledge History of the American South. He has presented across the United States on a wide range of topics including bluegrass, hip-hop, popular culture, protest music, and modernism. For the last two years, he has served on the executive council for the Emerging Scholars Organization as MA representative and will stay on for another term as Community Outreach and Activism Chair. Currently, Will is working on an analysis of Claude McKay’s 1929 novel, Banjo, and the ways sound works to establish and trouble regional and racial identities in working class spaces. Kristin Teston serves as the Professionalization Chair on the ESO Executive Council. She is a third year PhD student at the University of Mississippi, where she specializes in twentieth and twenty-first century American literature and culture. Her dissertation project focuses the visual representations of ruins in the U.S. South. She explores how humans have reshaped the climate and the natural landscape and how literature and film reflect on that creation and destruction. As an ESO representative, her goals are to increase the resources and opportunities for emerging scholars in order to expand their prospects within and beyond the field of academia. ESO is committed to the future of its members and the field of southern studies. Professionalization is essential to this purpose, which is accomplished through the success of emerging scholars whether they find themselves employed as faculty members or in positions outside of the academy. Kelly Vines has served as the MA Representative and the President of the ESO executive council. She now serves as the organization’s Past-President Advisor. She is a PhD Candidate and former Assistant Director of the University Writing Program at Louisiana State University. As a member of the ESO executive council, she is dedicated to providing emerging scholars with the necessary tools to succeed in their professional endeavors, facilitating communication and collaboration between southern studies scholars across our disparate geographies, making the SSSL and southern studies a more welcoming place for emerging scholars, and advocating on behalf of emerging scholars in political realms. She is the recipient of a dissertation fellowship from the American Association of University Women, and she is currently working on her dissertation, “Post-Plantation Entanglements: Bodies, Objects, and Landscapes in U.S. and South African Literature and Culture,” which questions how, why, and to what effect contemporary authors, artists, and tourists move through or re-inhabit plantations in symbolic and material ways. Her work has been published in the North Carolina Literary Review and Mississippi Quarterly. In addition to her more traditional academic work, she also co-produces About South, a podcast about the South: www.aboutsouthpodcast.com. If you would like to contact the ESO executive council, please send an email to emergingscholarsorg@gmail.com. You can also find us on Facebook.